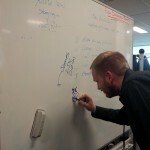 What do you do when white board markers turn PERMANENT!! | This Is Finda! 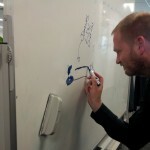 Awesome people trust their white board marker.. until they realize its … permanent!! But truly awesome leaders know how to fix it!!! 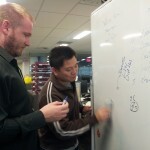 Cross out incriminating text and swap the white board with a nice clean one from any area except Fulfillment team.